Bernadette C. Reilly, of Tinton Falls, New Jersey, passed away peacefully at home on January 28, 2019, aged 105. Born in Meriden, Connecticut as the second of six children to the late Henry and Mary (Wollschlager) Veronneau in 1913, Bernadette overcame serious illness as a child. She emerged a strong, principled woman guided by her Catholic faith and her determination to remain undaunted by life’s mutability. After several years working in administrative roles in Hartford and Waterbury, Bernadette married Vincent E. Reilly of Stamford, and they made their home in New Jersey. She poured herself joyfully into the role of wife and homemaker, which she considered a vocation. Bernadette loved each of her five children wholly and individually. She filtered family life through a faith-filled lens and managed her home with a practical eye. After Vincent passed on unexpectedly in 1969, she continued her “Life of Service,” always placing the needs of others above her own. During her later years, Bernadette most enjoyed time with her family, whether at her home, their homes, or vacations abroad. She starred in numerous family dinners and gatherings, reveled in the simplicity of nature, and delighted in her nine grandchildren. 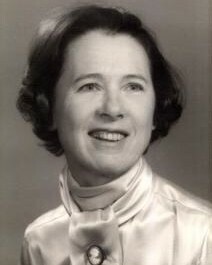 Besides her husband, she is predeceased of siblings Lawrence Veronneau, Mildred Richards, Joseph Veronneau, Doris Becker and Henry Veronneau; granddaughter Denise Callahan; and son-in-law John Bohuslaw. Surviving are her children James T. Reilly and his wife Rita of Middletown, Mary and her husband Loughlin Callahan of London, Denise and her husband Thomas McMann of Red Bank, Joanne Reilly (Bohuslaw) of Avon, CT, and Janice and her husband Robert Wallace of Milton, MA; her grandchildren Christopher Callahan, James Reilly and his wife Blanca, Joseph Reilly and his wife Eve, Thomas Reilly, Katherine Reilly Piccoli and her husband Christopher, Robert Wallace and his wife Christine, Anne Wallace and Ellen Wallace. Also surviving are her great-grandchildren Edward and Aaron Reilly, Anna and Madison Reilly. The family expresses deep gratitude to Bernadette’s devoted caregiver, Mrs. Belkis Zunigamedina. Visitation will be held at the John E. Day Funeral Home, 85 Riverside Avenue, Red Bank, NJ 07701 on Thursday January 31, 2019 from 4-7 p.m. A Mass of Christian Burial will be held at St. James Roman Catholic Church in Red Bank on Friday February 1, 2019 at 10 a.m. Interment will follow at St. Boniface Cemetery in Meriden, CT. In lieu of flowers memorial donations may be sent in Bernadette’s memory to a charity of your choice.